During storm season from early November to the end of January, fierce waves batter Vancouver Island's western shores of Tofino, Long Beach and Ucluelet while King tides invade its eastern shores of Oceanside and Parksville. Yet in central Vancouver Island there exists calm and tranquility combined with verdant tropical rain forest here at Sproat Lake. Mist, moss and a steady downpour of fresh rain create a rugged yet romantic window to our unique environment, making Sproat Lake Landing Resort an essential stay to balance out any storm-watching adventure. Witness the exquisiteness of the rain forest and follow dramatic lake level changes of up to 10 feet; at peak storm times breaching even the 10-year level mark signified by our landscaped terraces! 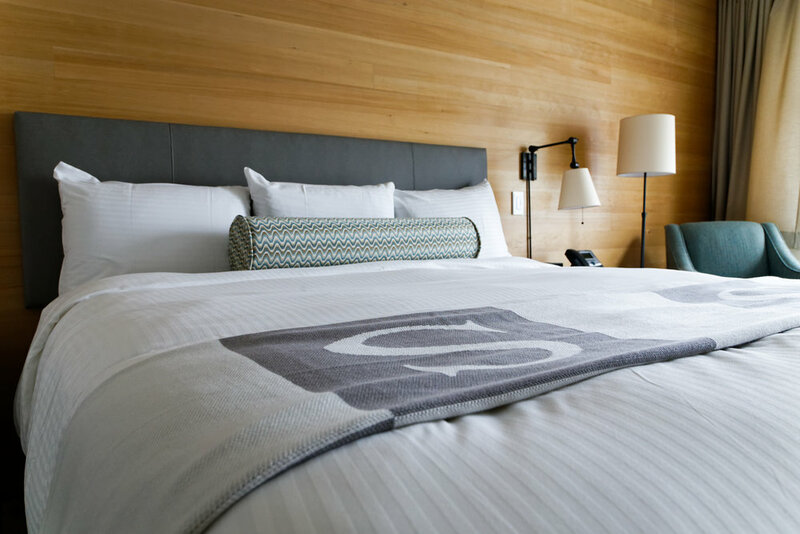 We’d be delighted to combine your stay at Sproat Lake Landing Resort with our preferred partnered luxury accommodations in Tofino or Ucluelet during Fall and Winter seasons to fully complete your B.C. storm-watching experience! The Calm Before the Storm package has a minimum stay requirement of 2 nights. Renowned Canadian Fine Arts photographer Jakob de Boer travels to the Pacific Northwest to capture through landscape the origins of myths and stories of Haida and First Nations people. Jakob reveals the importance of preserving our identities and cultures through the lands on which they were born. Jakob regularly stays at Sproat Lake Landing and is often seen during storm season photographing the majestic local rain forest. Soul from Lossless Creative on Vimeo. Relax and enjoy our award-winning dining experience at Drinkwaters Stirling Room. Overlooking stunning Sproat Lake, we offer delicious food and a full host of beverage selections. It's all about the detail and we're dedicated to exploring that with new fresh flavours from the bounty of our Alberni Valley. Celebrating the Pacific Northwest interior design and featuring a King bed with heavenly plush down bedding, the Lake View rooms offer a full panoramic view of Sproat Lake and Mount Arrowsmith on your own private balcony. These rooms include: rainfall shower, premium amenities, gourmet coffee and personal refrigerator.